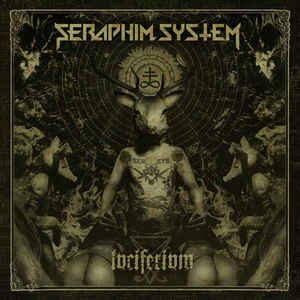 Background/Info: The new Seraphim System album was released at the end of 2016. After the two self-released albums “Luciferium” is the third official full length by this American formation. Content: Digital World Audio likes crossover bands and Seraphim System in a way matches with bands such as Rave The Requiem and the new-signed Deconbrio. I’m not saying that they all sound the same, but there’s a similar taste to mix electronics and metal guitar riffs. “Luciferium” sounds pure crossover and potential sources of inspiration might be Skinny Puppy, Ministry and related bands. The work is powerful although sometimes driven by slow rhythms. But the real power is hidden in the guitar and the dark, tormented atmosphere hanging over the songs. The vocals feel a bit like an ambassador of evil forces. I guess the title of the work is not really of a coincidence. + + + : “Luciferium” sounds like a modern crossover production. 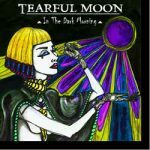 The oppressive guitar riffs and dark, haunting atmospheres create a fascinating and somewhat disturbing sensation. You get the impression awakening in hell. I’ve a little preference for the slower cuts, on which the atmospheric side comes really through. The final part of the work is absolutely well-crafted and successful. The last song “Alive” evolves towards an amazing final revealing outstanding sound treatments and total power. Last, but not least I also want to mention the great and artistic artwork of this digipak format. 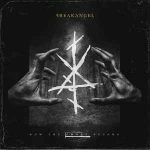 – – – : Seraphim System is not the most accessible band for a wider audience although they can convince electro- and metal fans. The sound formula is nothing new and in the purest good-old crossover style. Conclusion: Seraphim System became an established and recognized formation in their genre. “Luciderium” is devilishly good! Best songs: “Alive”, “Chaos”, “Serpent”, “Undoing”.